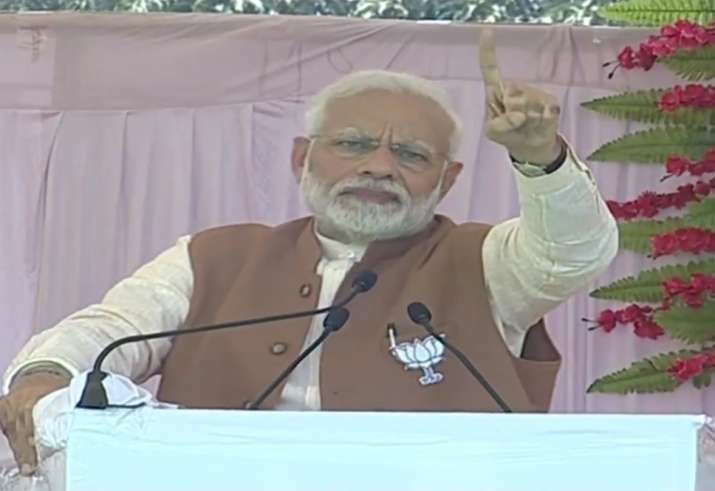 Addressing an election rally in Jhabua, Madhya Pradesh, PM Modi described demonetisation as 'bitter medicine' which his government used to bring back black money into banks. Prime Minister Narendra Modi on Tuesday hit back at Congress president Rahul Gandhi over his repeated attempts to question the government over November 8, 2016, demonetisation move and said that the note ban was necessary to weed out the evil of corruption. 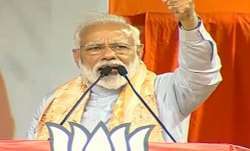 PM Modi said he used the "bitter medicine of demonetisation to bring back money into banking system and to give "proper treatment to deep-rooted corruption system" in the country. Modi also said his government has so far disbursed loans to 14 crore people, "that too without guarantee", under the ambitious Pradhan Mantri Mudra Yojana. "The amount of work we (BJP-led government) have done four years, Congress would be able to do it in 10 years," Modi said. "Remember the time when Congress was in power here in Madhya Pradesh, what was the condition of people? Madhya Pradesh does not deserve a government which never thinks aboutthe state's welfare," Modi said, targeting the Congress party. Modi said that during the Congress' 55 year rule in Madhya Pradesh, 1,500 schools were made, but Chief MinisterShivraj Singh Chouhan established 4,000 schools in thestate in just 15 years. "Our mantra is to provide education to boys and girls, income for youth, irrigation facility to farmers and medicines to elders," Modi said. The PM said the Congress promised to waive farmers' loans in Karnataka, but instead of doing so, issued warrants against peasants and sent them to jail. "My government is aiming to double farmers' income by 2022," the prime minister said. "My dream is to provide 'pucca' houses to everyone in the country by 2022. We have so far given keys of such houses to 1.25 crore people," he added. Voting in Jhabua is scheduled to be held on November 28.